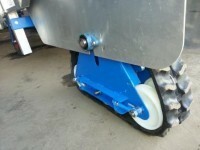 Standen are importers of De Jongh Lay Down Self Propelled Weeders. 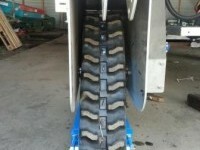 The Lay Down Weeder has joy stick control, and is provided with potentiometer speed control when operating in auto-steering mode. Also an alarm is fitted whereby the operators have to reset the machine every 5 minutes, just in case the operators fall asleep whilst laying down. A full dead stop cable and switch system is fitted to meet HSE requirements. As the name suggests, the operators lay down on this machine, a comfortable padded bed provides support. 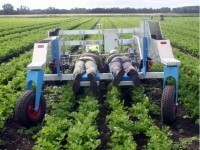 The photograph shows the De Jongh LDW working in a crop of celery near Ely, Cambridgeshire.th, from 1.50m to 1.80m. 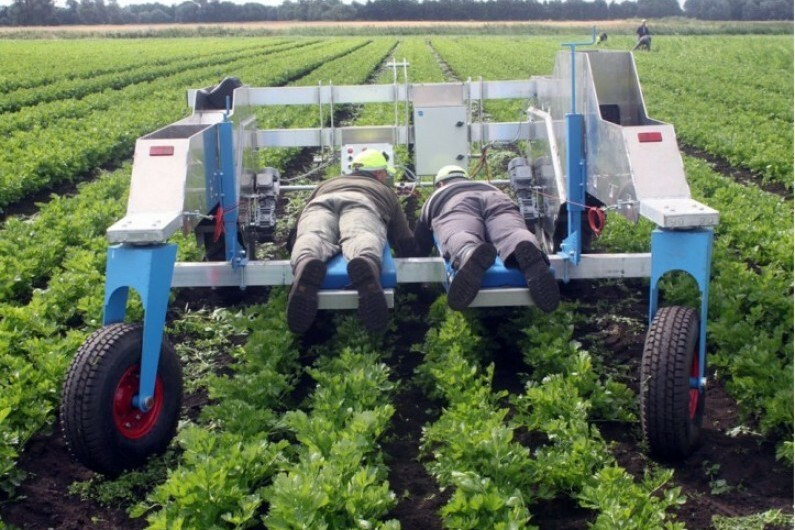 The Solar Powered Lay Down Weeder runs on daylight rather than sunlight, so will work even on cloudy days and is a great option for organic farmers. 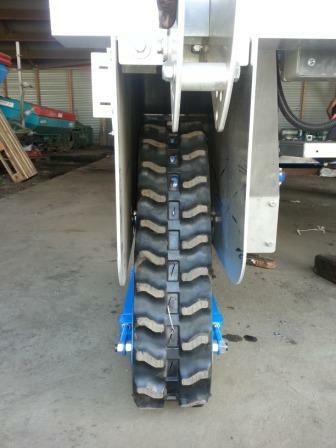 This machine performs just as well as the motorised version, but noise levels have been reduced to virtually nothing, to improve the operator experience. Custom built to order, the machine also comes with a battery pack, so if light is lost, the machine can still be moved. A front row-feeler automatically steers the machine and heavy-duty castor wheels are fitted to the rear. A strong but light all-aluminium chassis makes the Lay Down Weeder very easy to move about.